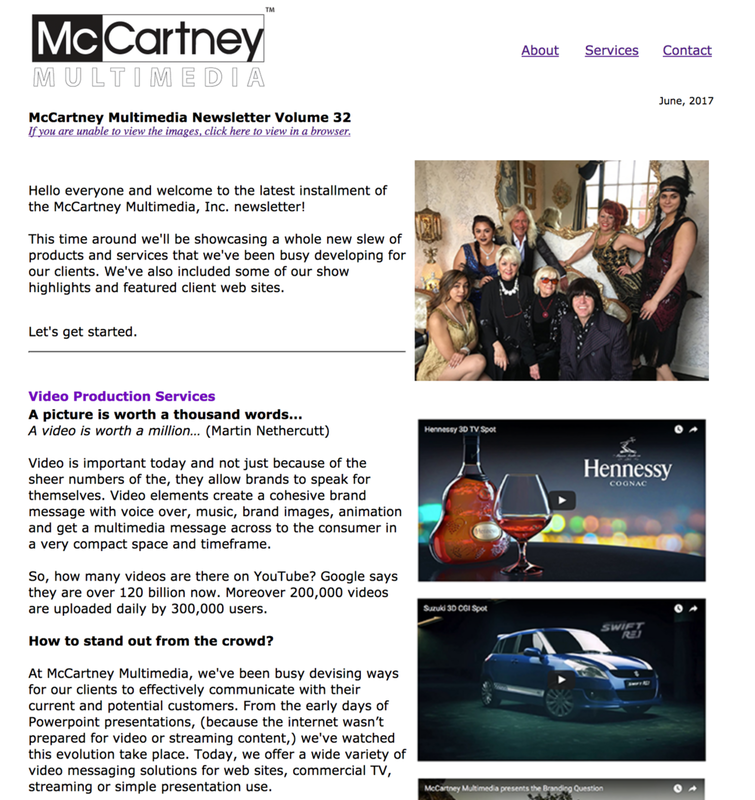 Latest McCartney Multimedia, Inc. newsletter is here! Hello folks! It's that time again. Click here to view out latest newsletter.